Author interviews are one of my favorite things to post which is why I am super excited to welcome author Amalia Carosella to Flashlight Commentary to discuss Helen of Sparta. 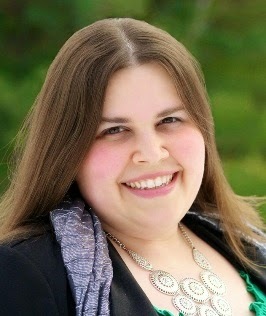 Author interviews are one of my favorite things to post which is why I am super excited to welcome author Susanna Calkins to Flashlight Commentary to discuss The Masque of a Murderer.Welcome to Flashlight Commentary Amalia. It’s great to have you with us. To start things off, please tell us a bit about Helen of Sparta. Helen of Sparta is the story of Helen’s early life, BEFORE she runs away to Troy with Paris and the stories we’re all so much more familiar with pick up. I chose to focus on the lesser known myth of her abduction by Theseus, and had a great time exploring bronze age Greece in the process! In your acknowledgements, you thank your brother for bringing home a copy of Bulfinch’s Mythology and telling your nine-year-old self that Hercules’s real name was Heracles, but you ultimately chose to write about Helen and Theseus. Why? Honestly? Hercules is not my favorite. Ha! Or rather, he wasn’t, for a long time. He’s loud and brash and crude and self-centered, and not very sympathetic in the myths. Which is not to say that Heracles might not still pop in somewhere along the way in future books (he and Theseus cross paths quite a bit), but I haven’t come across the story of his I want to tell quite yet, I guess. Helen, though – well, I’m kind of in the business of remaking these women who are blamed for the fall of men, I guess, so it was kind of a natural choice. Theseus’s involvement was an afterthought, as I dug through Helen’s mythology to learn more about her early life, even if he did end up taking over! When it comes to tackling mythology, some authors chose to characterize gods as actual beings while others treat them as immaterial deities. How did you settle on your interpretation? I guess what it comes down to for me, is that I believe ancient peoples weren’t just making things up. In order to respectfully retell these stories of heroes and demigods, I feel it’s necessary to place some faith in the myths themselves and the gods involved. Who am I to say these gods DIDN’T father children and interfere in the lives of men on a very personal level? Entire cultures believed these gods existed and acted for and against their interests, and I don’t want to gloss over that. In addition, the legends themselves start to fall apart when you extract the divine influence from the story. The gods have big roles to play, and without them, some of the choices become utterly nonsensical. To me, it makes more sense to include the gods than to twist the characters of these heroes and heroines into knots in order to explain away their bizarre decision making without them. I thought the relationship you created between Helen and her mother very interesting and appreciated the complexity it brought to Leda’s personality. What inspired your decision to brand their bond with tension and resentment? In Homer, there’s a constant refrain, a reminder that the previous generation was so much greater than the one that lives now. Men are known by the deeds of their fathers, and Nestor is constantly going on about his adventures with those Great Heroes of Yore. This was the natural order of things – that each successive generation declined just a little bit more. When that natural order is upset, as it was when Zeus overthrew his father, Kronos, and as it does with Helen’s beauty and influence eclipsing her mother’s, it makes sense that there might be a huge amount of tension and upheaval. (And we see this echoed also in the fairy tale of in Snow White – when the Queen is determined to remain the fairest of them all, even if it means killing her step-daughter.) Kronos goes so far as to eat his children, to prevent them from overtaking him. Leda can’t go quite that far, or risk further punishment from the gods, but I can only imagine how that would fuel her resentment – particularly after taking into consideration the circumstances of Helen’s birth. Helen of Sparta touches on several separate mythological stories. Did you ever feel overwhelmed bringing so many elements together in a single narrative? I didn’t! I actually don’t think about bringing elements together as I write, so much as I think about digging down into the stories to find what feels like the truth. With mythology, you will never have a coherent narrative in the source material – there will always be a conflicting story or five. As a writer, I’m just trying to sift through those conflicting accounts to find out what “really” happened! Helen is the obvious center of the book, but Theseus’ role is by no means small. What do you hope readers take from your portrayal of Poseidon’s son? Theseus is a really, really fascinating hero. In a time when the concept of hero was mostly about personal glory, he shows a significant amount of self-sacrifice and the first glimmer of understanding for the idea of the greater good. In later ages, he’s considered the father of democracy, a patron and protector of slaves, and almost noble in his virtues. But he’s so overshadowed by Hercules that he’s almost been forgotten, now. I guess I just hope readers remember he exists, and maybe that he leaves an impression! I think the most exciting scene to write was when I realized I could bring Helen’s future into her present – no spoilers, but the meeting of Helen and a certain boy while she’s bathing in the river... chills down my spine! That's funny as that was one of my favorite scenes! I think the sexual encounters were the hardest (both good and bad). Firstly because I wasn’t entirely sure I was comfortable putting that much intimacy on the page – it felt a little bit soul-baring to write – and secondly because it is SO HARD to balance the physical with the emotional. And some of it hurt my heart, too, to write. In the end, I decided that if I was going to keep the awfulness on the page, I needed to include the love, too, to balance it. I had to sacrifice Helen’s sister, Clytemnestra, and some of her early relationship with Menelaus. There was a lovely scene between Helen and Menelaus that I had to cut, from before he went to war with Agamemnon, which kind of served as a contrast between the man he was and the man who returns from the war. And with Clytemnestra, I had to give up some of their early, easier friendship. Before Helen’s beauty started really driving a wedge between them. It would have been nice to keep those contrasts, but ultimately, it was too much to squeeze into the start of the book. 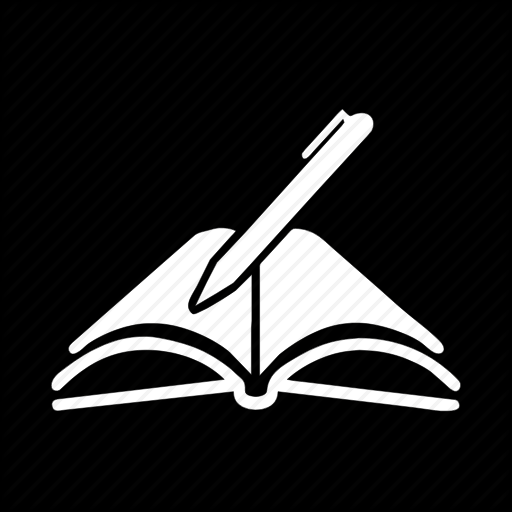 Historical novelists frequently have to adjust facts to make their stories work. Did you have to invent or change anything while writing Helen of Sparta and if so, what did you alter? I definitely played a little bit fast and loose with trade goods – what might Helen or Theseus have had access to, in the Bronze Age? We know so little about WHAT was traded, but there clearly was widespread trade, and since Theseus was so well-traveled (and something of a raider), I fudged some of that to allow him to show off a little bit. I also broke up the births of Helen and her siblings to two sets of twins, conceived at different times – there’s so much confusion in the myths surrounding the births, and Helen’s brothers, sometimes referred to as the Dioscuri, could not possibly have accomplished even half of what’s been attributed to them if they were born all together. But the BIGGEST change was Helen’s age – in the myths her abduction by Theseus took place before she was of marriageable age, at anywhere between 7 and 11 years old. Theseus is a hero of the previous generation, so he’s much older, and I brought him down in age as far as I could, taking into account his two previous marriages and all his adventures before his path crossed Helen’s. Theseus, I think. His story is so tragic – I’d love to hear about it all from his perspective. Oh! Or maybe Aethra. I find it fascinating that she never seems to marry, just raises Theseus and then continues on. And I honestly really would love to discuss with her what her experience was, having been loved by a god. I imagine it must be difficult to go back to men after that, particularly since Aethra seems to have had a more positive experience vs Leda’s, with Zeus. 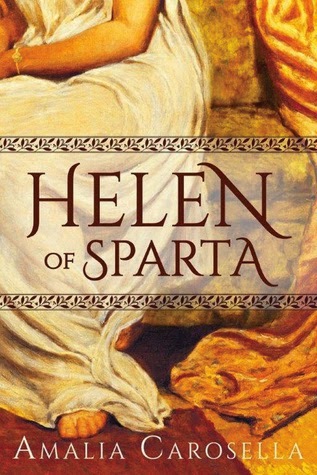 Just because I’m curious, if you could pick a fantasy cast to play the leads in a screen adaptation of Helen of Sparta, who would you hire? Ah! this is so hard! I really, really don’t think about this kind of stuff so much – I don’t really see faces at all in my head. Hm. I actually wouldn’t mind Henry Cavill as Theseus (so long as he kept his superman bulk and no one associated him with that film we will not name because nope) – he’s got that nice dark hair and those piercing blue eyes! Casting Helen is... impossible. Maybe Gerard Butler for Pirithous, he’s got some of that humor and charm, and the “I refuse to take things seriously” attitude. For Pollux I could go with Liam Hemsworth. I kind of loved Rufus Sewell when he played Agamemnon in the past but he’s too old now for my version, and I’d really want my sons of Atreus to keep their red hair. Maybe Sam Claflin for Menelaus? (I feel like everyone in hollywood grew up while my back was turned.) I think Melina Kanakaredes would make a great (and well-preserved) Aethra. Helen, Helen, Helen... she’s maybe too old, now, but Emma Watson? Maybe? I wish I knew more Greek actors and actresses! In the meantime, though, I’d almost be more interested in hearing how other people might cast Helen and Theseus. I love getting a glimpse of how my characters look through the eyes of readers. Nothing official that I can declare as “coming next” but I just finished drafting a novel about Hippodamia and her marriage to (a much younger) Pirithous, encompassing the war with the centaurs, and I’m working on the next chapter of Helen’s life, now. I’d really love to write a book about Theseus and his Amazon queen, Antiope – to whom, Helen owes a great debt for teaching him to see women as more than prizes. Ultimately, I could muck about in Bronze Age Greece for as long as people want to keep reading it, but who knows what the future will bring!